The 6th annual Celebration was yet another success and featured a change in venue this year. A library awash in color greeted one hundred guests and supporters who attended the Friends of the Gloversville Public Library annual fundraiser on Sunday, September 23. Arrangements of mums and bouquets of fall flowers filled every room, beautifully highlighting an array of raffle baskets, silent auction items and buffet tables of gourmet hors d’oeuvres and desserts. This year’s Celebration event, based on the theme of “Celebrating Life in the Adirondacks”, was the 6th annual fundraiser presented by the Friends to benefit the historic Carnegie library. This year’s Celebration raised over $28,000, and Friends members and Madonna were thrilled that it was the most successful Celebration yet. Madonna noted that the Friends have directed that the proceeds be used as ‘seed money’ toward the long-overdue replacement of the library’s windows. She said that the windows are old, ill-fitting and drafty, and have no “R” rating. Pat Beck served as mistress of ceremonies for the event. She pointed out that this was the first Celebration to be held in the library itself, and encouraged people to “look around and see first-hand” the many improvements made possible by the previous five Celebrations. Colorful autumn leaves marking these improvements could be seen on new lighting fixtures, the repainted lobby and dome, new furnishings in the Children’s Room and Reading Room, and the recently cleaned and restored building façade. During the event, Beck drew the names of twenty-two basket raffle winners. The baskets had been donated by members of the Friends and the community, and had been on display at the library since mid August. The silent auction tables were filled with items donated by nineteen area artisans, artists and businesses, and attracted a great deal of bidding interest. Sub-committee members for the event included: Basket Coordinators – Nancy Krawczeski and Barbara Reppenhagen; Basket Labels and Auction Signs – Linda Callahan; Basket Wrapping - Barbara Tucci and Trina Zimmerman, assisted by Donna Kuhner and Barb Madonna; and Decorations – Traci DiMezza. Robison and Smith donated the linens. Linda Hinkle of Linda Hinkle Graphic Design donated the posters, invitations and program cover design. Special thanks were extended to Don Fleischut, the Kingsboro Garden Club, Christine and Peter Schoonmaker, and Jerriann Zinter. Chef Lomanto’s Kitchen, Chick & Hen Baking Company, Harold’s Restaurant, Sam’s Seafood Steakhouse, and Union Hall Inn provided the delicious appetizers and desserts. Special thanks to Harold’s for donating the stuffed mushrooms and to Megan Saltsman of Union Hall Inn for donating all of her services. We’d like to thank everyone who helped us make the Celebration such a success…from the many donors for sponsorship, the silent auction, and the raffle baskets to all of the participants. And we want to extend a big thanks to all of our many volunteers and also to the library staff for all of their efforts. 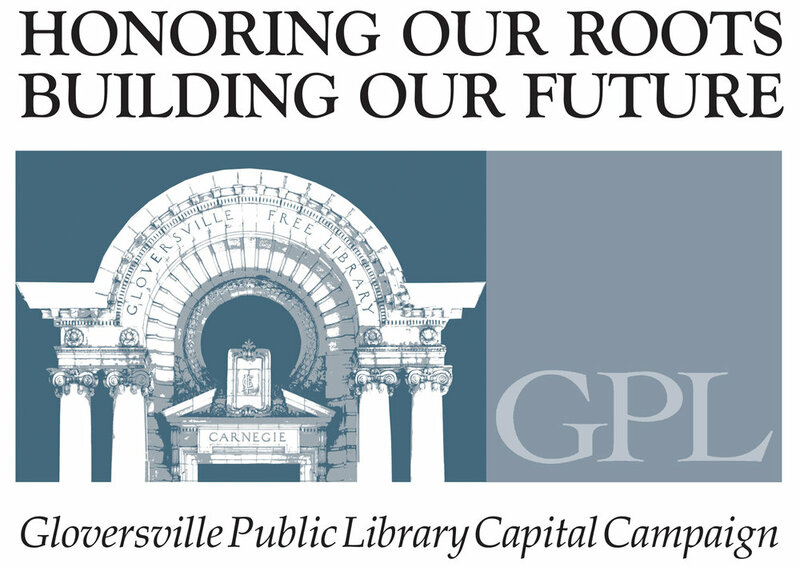 It was wonderful to see the community support for preserving our historic Carnegie library. Thanks to you, it will continue to be the architectural treasure and center for life-long learning that it is.